On November 3, 1989, Erickson and the surround­ ing communities celebrated the official opening of the new 'Erickson District Health Centre', located at 60 Queen Elizabeth Street. GBR Architects from Winnipeg were contracted to design the building and Kelsey Construction of Winnipeg built the new centre, which is home to ajuxta­ posed 14-bed personal care home and 12 acute care beds. Lab and x-ray, Administrative Offices and a Doctor's Clinic and waiting area were included in the design. In the mid 1980's, the Erickson Hospital ceased to deliver babies, so the new facility does not include a case room or a nurs­ ery. Only minor Day Surgeries are performed locally, so there was no need for an operating room, and the small treatment room serves for this purpose. 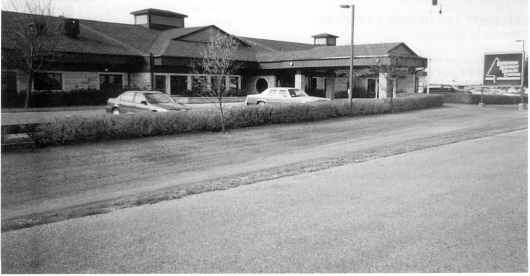 The official move from the old facility, located on 3rd Street South, to the new site took place on December 5, 1989. At that time, Florence Swiscoski was the Director of Nursing with AI Martin as joint Administrator for Erickson and Minnedosa. The Governing Board for Erickson District Health Centre at that time was Harold Stitt (Chairman), Russell Tiller, Keith Johnston, Alma Paulsen, Ambrose Moyer, John Spaller and Wilfred Vaughan. Dr. Khandelwal continued his practice at the Erickson District Health Centre until 1999, when he discontinued his admitting privileges, but still maintains his clinic in Erickson and Minnedosa. Dr. Vimal Amarasekera contin­ ues his practice from the Health Centre. Once settled into the new facility, and a dramatic increase in staff from the old facility, Mr. Vic Waddell filled a full-time Administrator position. Upon Florence Swiscoski's retirement, Marlene Shewchuk was hired in that capacity with Lynn Dimmery being designated as a Charge Nurse. Lab and x-ray services are now offered daily. Pharmacy services remain shared with Minnedosa. Upon retirement of Vic Waddell, Mr. Mike Kufflick was hired on a shared service basis with Minnedosa.